The web is fantastically ground-breaking in the cutting edge business world, with numerous as of now grasping new innovation. A rapid association is fundamental for proficient everyday activities, for example, utilizing cloud-based instruments, IP communication, applications and document exchanges. Lamentably, without the correct establishments, these items will battle to work for a business – provoking lost trust in fresher innovation and receiving the cloud. alphaTALK are pleased to be able to offer a range of broadband services for use with our SIP products or for general internet access for your business. Depending on availability in your local area, we can offer ADSL, Fibre-to-the-Cabinet (FTTC) and Ethernet leased lines. We use nationally recognized providers for our broadband, such as TalkTalk, BT, and Virgin Media so that we can provide the widest range of services for our customers. The availability of broadband internet connectivity depends on a number of factors, including the length and quality of the line between your premises and the exchange. Please call us on 0121 633 5200, email info@alphatalk.com or click the Contact Us buttons below to check availability and pricing in your area. ADSL2+ Broadband is the standard broadband available to most households in the UK. This uses the Openreach copper telephone network to deliver broadband to your premises at up to 24Mbps. The speed you will be able to get depends upon a number of factors such as the length of the line between your premises and the telephone exchange, and the quality of that line. This service is suitable for a small number of computers or VOIP telephones and basic internet browsing. If available, FTTC broadband (see below) will be a better option for most businesses. We can provide ADSL connections through major providers such as BT, TalkTalk and Vodafone. Prices start from £20.99 per month. Please contact us for availability and pricing for your area. Fibre-to-the-Cabinet (FTTC) Broadband is the most common type of Fibre Optic broadband available to consumers in the United Kingdom, but is not available for all premises. This type of broadband uses Fibre Optic wires instead of copper cables between the telephone exchange and the street cabinet. The connection is then delivered to the premises using the existing copper wires that are part of the Openreach network. This can deliver speeds of up to 80Mbps, significantly faster than ADSL, for more demanding internet applications such as streaming, or for connecting a larger number of SIP phones. alphaTALK can supply FTTC broadband from a range of suppliers including BT, TalkTalk and Vodafone. Prices start from £35.99 per month. Please contact us for availability and pricing in your area. An Ethernet or "Leased Line" connection provides the very highest connection speed available for businesses. 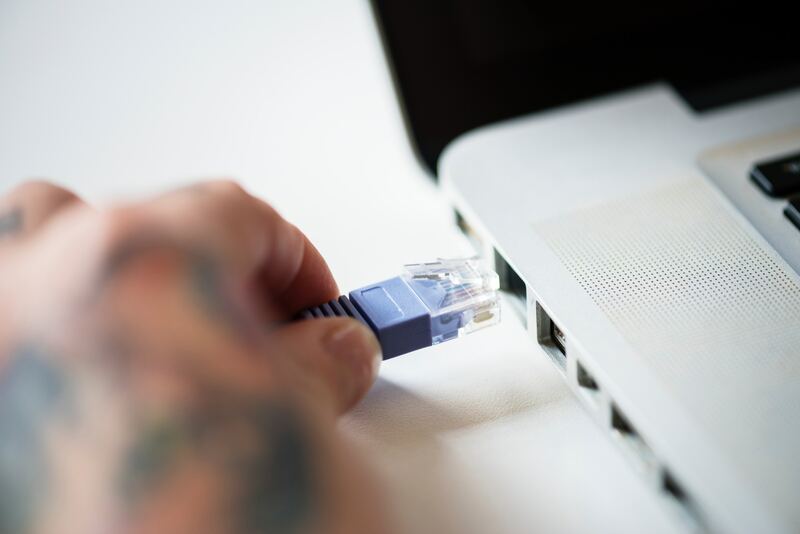 Ethernet is ideal for premises with a large number of devices (computers, VOIP telephones and other devices) and a need for very fast connections. These services are custom-built for each customer and require a new line to be installed all the way from the exchange to your premises. As such, there are a number of costs involved for the planning and construction required to activate the service. We can offer Leased Line services ranging from 10Mbps up to 1Gbps from top suppliers such as BT, TalkTalk, Virgin and Vodafone. Contact us for a competitive quote. We will even try to beat any existing quote you have for an ethernet service! Prices start from around £250 per month. Please contact us for availability and pricing in your area. In any case, with a trustworthy, super-quick broadband association a business can take the full preferred standpoint of cloud-based devices to support profitability, enhance benefit quality and increment development. As indicated by research almost 50% of organizations concur if their broadband association enhanced, it would enable them to utilize more cloud-based administrations, exchange substantial documents and permit remote server access for workers. Applications, for example, Office 365 work over the web and can be put away on any gadget – with access to recognizable instruments, for example, Outlook, Word, Excel, and PowerPoint. All reports are put away internet enhancing profitability – practical from any area, whenever. Innovation is continually advancing, with organizations utilizing an expanding number of web fit gadgets including IP communication, PDAs, tablets just as cloud-based instruments, for example, video conferencing, information stockpiling, online installments and other web based business capacities. Fiber optic broadband, for instance, guarantees adequate data transmission for countless without a drop in speed amid occupied occasions – enhancing the stream of correspondence and nature of administration you offer to clients. Albeit introductory expenses can be higher than standard web lines it’s solitary when you are without an association for 2-3 days you understand the expense of low-quality web – be that through missed deals or troubled clients. Superfast broadband gives effective upgrades and cost reserve funds, through created online deals and promoting, enhanced web-based requesting and invoicing, upgraded video conferencing and VoIP benefits, and enhanced access to cloud-based administrations. By offering access to the business systems and cloud stages enhance adaptability – which means different clients can share a protected workspace and team up on undertakings from any area. With valuable applications, you can rapidly back-up your information remotely, guaranteeing genuine feelings of serenity and secure, simple recovery of records. Organizations can exploit a progressively adaptable, progressed, futureproof correspondence arrangement – with the ISDN turn off drawing closer in 2025, all telephone frameworks must be taken on the web. Updates and upkeep to CloudPBX are programmed so you’ll generally have the most recent innovation accessible to amplify business proficiency. The framework will keep on developing at indistinguishable pace from innovation does and your organization will dependably be progressive. Cloud-based telephone frameworks keep running over a quick web association (VoIP) – this call traffic is frequently organized and there’s no obstruction. With a reliable VoIP association, calls can be gotten from any convenient gadget, for example, a workstation or cell phone by connecting up all gear and in office PC applications. Ideal for organizations with various workplaces and field-based representatives – bringing about compelling brought together interchanges. Fast broadband is essential to us as a business, and alphaTALK as of now grasps cloud innovation greatly. From Office 365 and client applications to our phone framework being totally cloud-based (CloudPBX), we vigorously depend on cloud-based frameworks. We generally suggest broadband to completely amplify devices, frameworks, and efficiency.